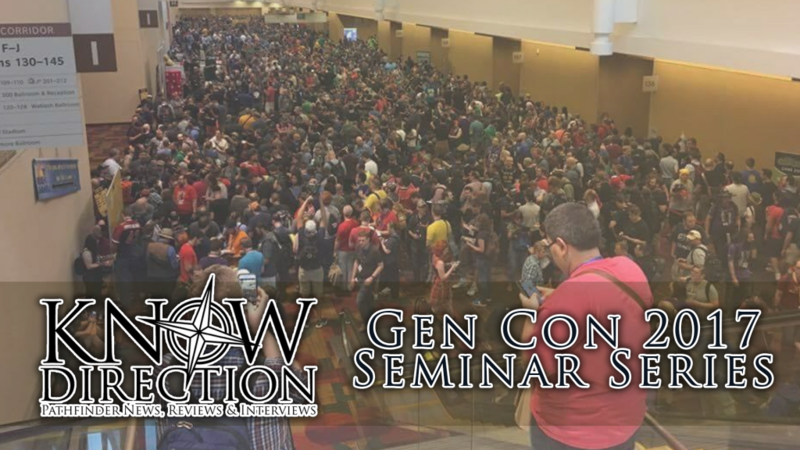 Know Direction is on the job at Gen Con 2017, recording dozens of Pathfinder and Starfinder related seminars. Special thanks to our Gen Con 2017 volunteers: Eric Brandon Ives and Andrew Mullen. You helped make this possible.